Did you know that 10% of our customer base uses Hubspot? Hubspot also has a great extension feature that can be added to your chrome toolbar. It is called Hubspot Sales. Hubspot Sales helps you uncover more leads in less time, connect with those leads, and close deals faster while managing all your contacts in one central place. And it is free to get started. HubSpot has a plan that fits your goals and budget. 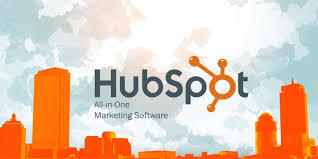 HubSpot’s CRM is free forever and the Marketing Hub and Sales Hub are free for solopreneurs or anyone just starting out in marketing. The Marketing Starter Plan offers customizable branding and form fields and full support for $50 per month. At $200 per month, the Basic Plan adds a host of SEO, social media, and email marketing features the only downside is it limits you to 100 contacts. While the Professional Plan, starting at $800 monthly (most popular) allows 1,000 contacts and the option for 1,000 more at $50 more a month. Finally, the Enterprise package starts at $2,400 per month and allow 10,000 contacts per month and 1,000 more for another $10 per month. You can tailor Hubspot packages to all to your current needs. Hubspot charges based on the number of contacts you have and contacts can be added just if they are CCed on email to your portal. At CEO Juice we have an alert ID452 that will send you a daily report of recently added contacts with a link to the contact on the email that you can quicly delete if necessary. Blogs are a great resource to have and you can even publish to your Hubspot CRM. Here is an example of a blog we did that focuses on the tracking your sales rep via Hubspot. Many dealers new to the concept of Inbound Marketing struggle trying to decide where to start with content to add to their site. We highly recommend reading “They Ask, You Answer” by Marcus Sheridan. There are many resources to help companies hire a marketing manager that fits their needs. If you are looking for fresh talent and motived individuals post the position to college job boards. To get great managers with HubSpot experience, use Indeed’s Advanced Job Search feature and simply type “HubSpot” in the exact phrase field. After you have gone through the process of hiring the right person for your team, don't forget to utilize Hubspot's certification courses to help them become a Hubpsot marketing guru.